Among children and adults between the ages of 1 and 44, traumatic brain injuries are the leading cause of both death and disability. The age group that is most commonly affected by TBIs is the elderly, who are at high risk of suffering traumatic falls. Every year, TBIs impact more than 2.5 million people. Of these individuals, about 50,000 people will die as a result of their head injury. Another 80,000 people will develop permanent complications and disabilities. 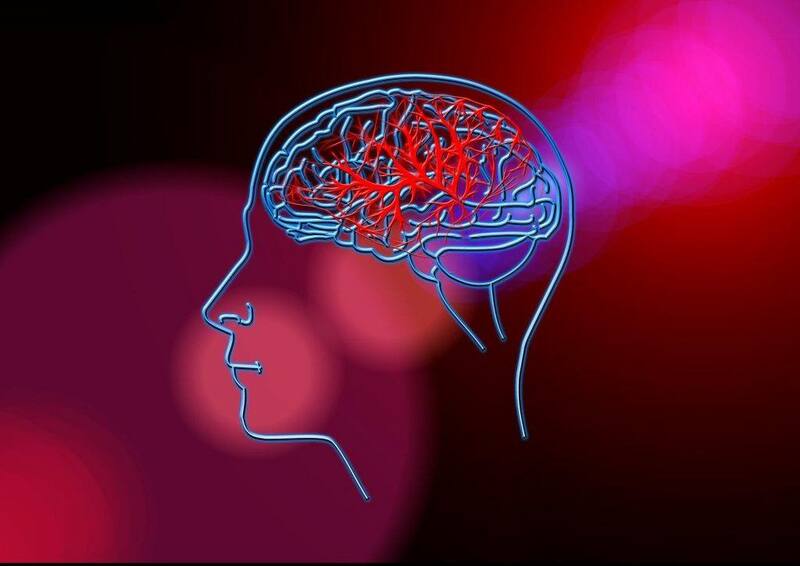 The most common reasons why people suffer a traumatic brain injury are slip and fall accidents, motor vehicle collisions, and being struck by an object. Traumatic brain injuries are a serious issue that impacts millions of individuals and their families every year. Since the complications of traumatic brain injuries are often permanent, it is essential to try and diagnose these injuries as quickly as possible. The faster the injury can be diagnosed, the quicker it can be treated. This translates into time saved and brain tissue preserved. Can you describe to me what you remember about the accident? What kind of pains or symptoms are you experiencing? Car accidents: Without a doubt, one of the most common mechanisms of TBIs is a motor vehicle collision. In a severe car accident, people can strike their head on the dashboard, the steering wheel, the door or window. This can lead to a skull fracture and a TBI. Slip and Fall: A slip and fall is often benign for a child; however, this can be devastating for older adults. Furthermore, if the fall comes from a great height, this can lead to a TBI even in the healthiest of people. When individuals slip and fall, they are prone to striking their head on the ground. This can lead to a brain bleed, which is one common type of TBI. These injuries can also be fatal. Struck by an Object: Another common cause of a traumatic brain injury, an individual who is hit on the head with an object is prone to developing a traumatic brain injury. Depending on the location of the impact, the type of the TBI can vary. In order to decipher exactly what kind of TBI is present, it is important to accurately describe the timing and severity of the symptoms. A headache: Without a doubt, headaches are some of the most common symptoms of TBIs. The headaches vary in their location and severity. A headache described as the "worst of my life" is often worrisome for a brain bleed. Loss of Consciousness: While not every traumatic brain injury will result in a loss of consciousness, this is a concerning symptom. It indicates that the impact was so severe that the brain has had its normal rhythm disrupted. Sometimes, the loss of consciousness does not occur with the impact but happens a few minutes or hours later. Vision and Hearing Difficulties: Depending on the location of the TBI, an individual could have trouble with their hearing or vision. Any problems with these senses can help the doctor localize the brain injury inside of the skull. Memory Loss: Individuals who have suffered a traumatic brain injury might have trouble remembering exactly what happened. They could also have difficulty forming new memories. These are only a few of the many different symptoms that could accompany a TBI. Importantly, some people may have one, a few, or all of the symptoms above. Every sign is vital in helping the doctor arrive at the proper diagnosis. Computed Tomography: A computed tomography scan, often abbreviated CT scan, is usually the first imaging procedure performed. People can think of a CT scan as an x-ray in three dimensions. This scan takes only a few seconds and produces a 3D image of the brain. This scan uses radiation to create an image based on the density of the material through which it is passing. Light materials, such as air, appear black on the image. Heavy materials, such as bone, appear white. This scan is great at identifying fractures and bleeds; however, it is not great for looking at the structure of the brain tissue itself. Magnetic Resonance Imaging: Magnetic Resonance Imaging, shortened to MRI, is typically the second scan performed. Not everyone will receive an MRI scan; however, if after the CT scan, the doctor needs more information, an MRI could be ordered. This scan does not use radiation and produces a more detailed image, but it also takes much longer to perform. It is great at looking at the brain tissue itself and could even show an old TBI if one occurred. This machine uses strong magnets to produce its image, so anyone who has metal inside of the body (such as knee replacements, implants, or tattoos) should inform their doctor. They might not be able to receive this scan. Once the imaging has been completed, the doctor will make a diagnosis. Watch YouTube Video: The Future of Diagnosing Traumatic Brain Injury. In the video below, neuroscientist Dr. Ronald Hayes provides an insight into how research will help diagnose and treat brain injury more effectively. Concussion: A concussion occurs when a blow to the head leads to a transient alteration in the function of the brain. While a single concussion is unlikely to lead to any long-term issues, recurrent concussions could lead to long-term disability. One recent study showed that more than 10 percent of concussions are repeat events. Therefore, all concussions must be taken seriously. Cerebral Contusion: A cerebral contusion is a bruise to the brain tissue itself. This is often visualized on imaging. Depending on the severity of the bruise, it could cause severe symptoms that persist for weeks, months, or even years. Brain Bleeds: This is one of the most serious types of traumatic brain injuries. A brain bleed occurs when one or more of the blood vessels in the brain is ruptured. Some of the most common types of brain bleeds are epidural hematomas, subdural hematomas, and subarachnoid hemorrhage. One study showed that as many as 80 percent of epidural hematomas occur due to accidental injury. If not caught early, brain bleeds could be fatal. Ultimately, some TBIs may not have any long-term consequences while others could be fatal. Some TBIs could even lead to lifelong consequences. It is easy to see how this can place a family under a tremendous amount of stress. Watch YouTube Video: Different Types of Critical Traumatic Brain Injuries. This animated video demonstrates the different types of traumatic brain injuries in patients ranging from 18 months of age to adults. Reviewing the records of the accident to make sure that all of the details have been addressed. Acting as an objective presence to help families make decisions during a difficult time. It is understandable for families to have questions following a traumatic brain injury. Everyone should remember that help is available and that they are not alone. For this reason, take a few minutes to speak with a traumatic brain injury attorney in San Francisco today. You and your family could be deserving of a financial reward. I’m Ed Smith, a San Francisco traumatic brain injury lawyer. If you or someone you know has suffered a traumatic brain injury in an accident, please reach out to me at (415) 805-7284 or (800) 404-5400 for free, friendly advice. I have been inducted into the Million Dollar Advocates Forum for the state of California. This group of injury lawyers is among many of the top attorneys in the United States. Members have won verdicts or settlements of more than $1 million for a client. You may want to view some of our past verdicts and settlements. See what our past clients have to say about working with our law firm: Avvo, Yelp, and Google. Attribution of Image: The image above was located originally on Pixabay.com. It has been reproduced on this page under the permission of the Creative Commons License.